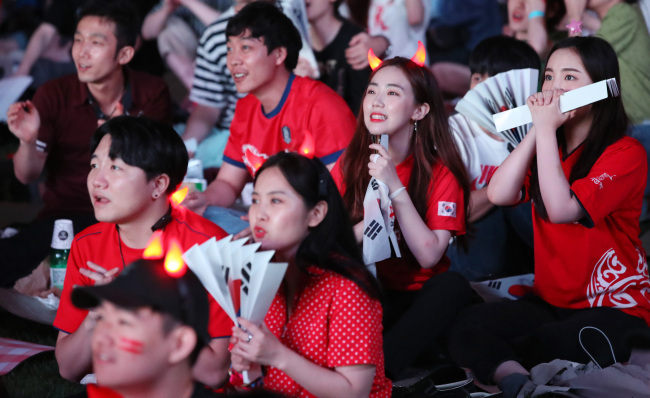 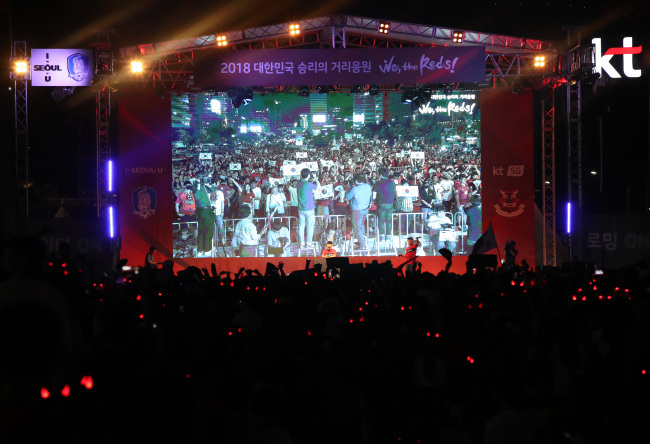 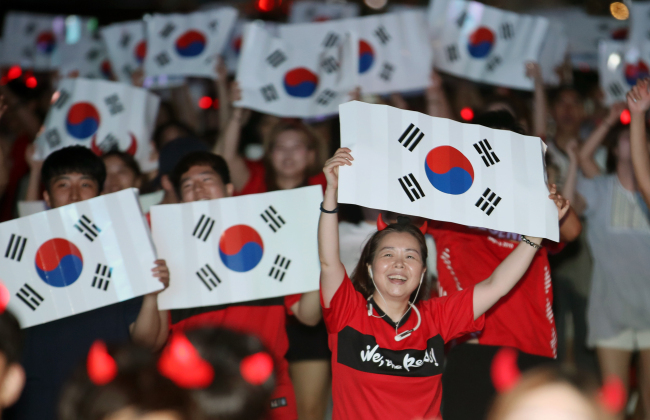 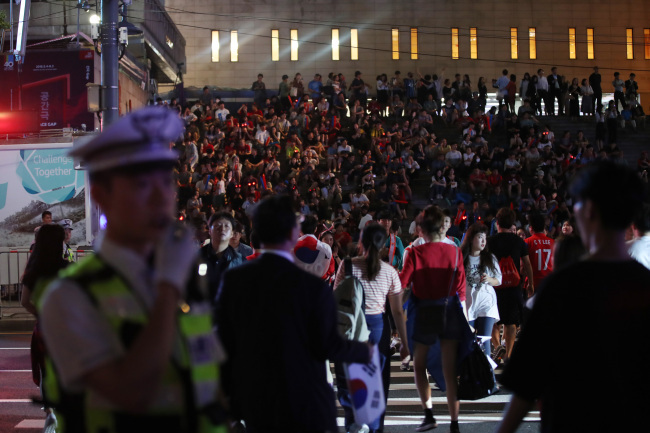 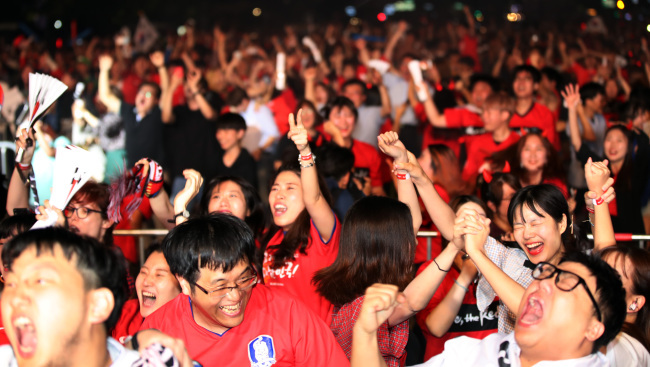 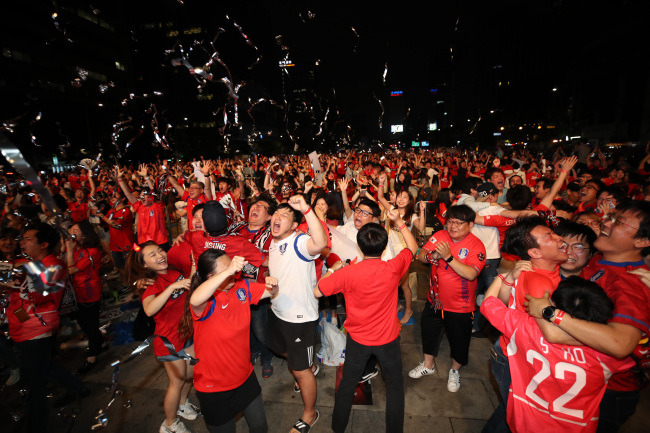 In what became both the first win and the last match for South Korea in the 2018 FIFA World Cup in Russia, a number of Korean fans gathered in various venues across the country and lit up the night with chants and screams. 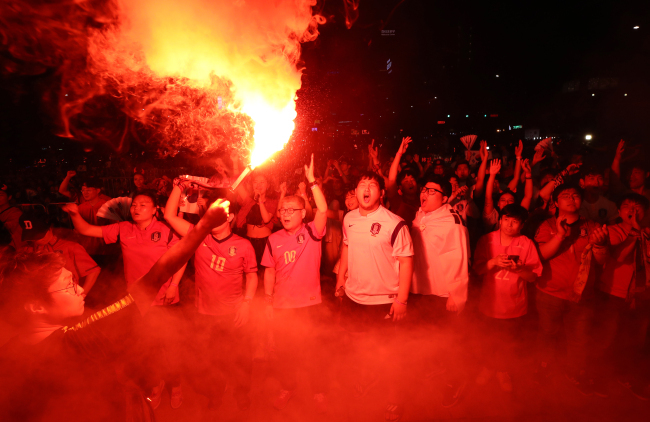 The Group F match between South Korea and Germany took place from 11 p.m., Wednesday in Korea. 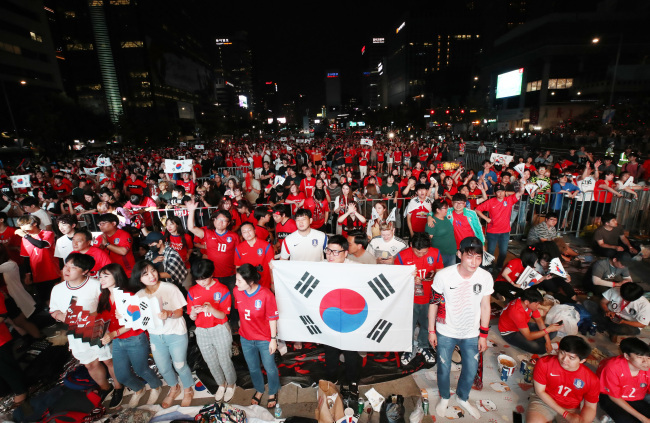 According to Soccer Power Index, the chances of South Korea winning the match with Germany had been predicted to be around 5 percent. 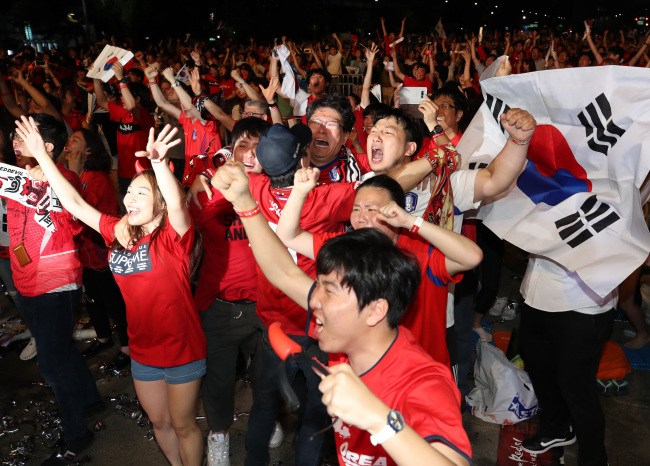 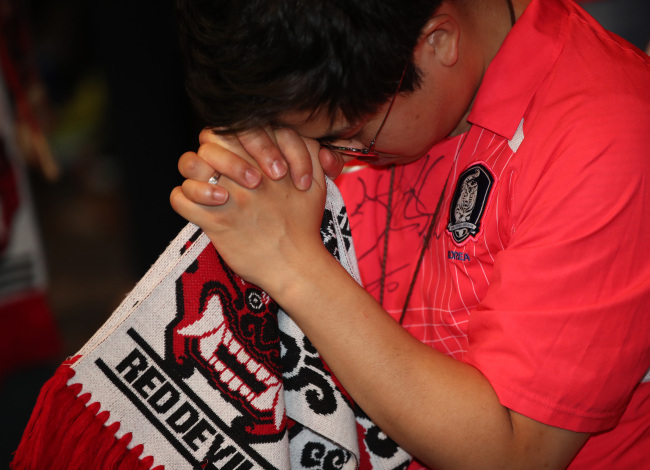 South Korea ended the match with two goals during injury time, leaving some fans in tears of joy. 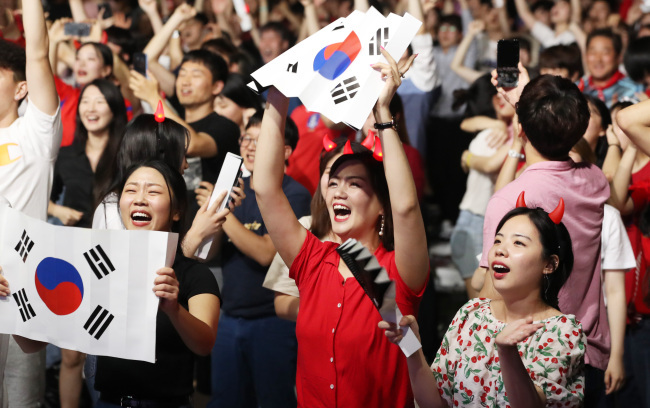 Despite the stunning win against the defending champion, Korea failed to go on to the next round.